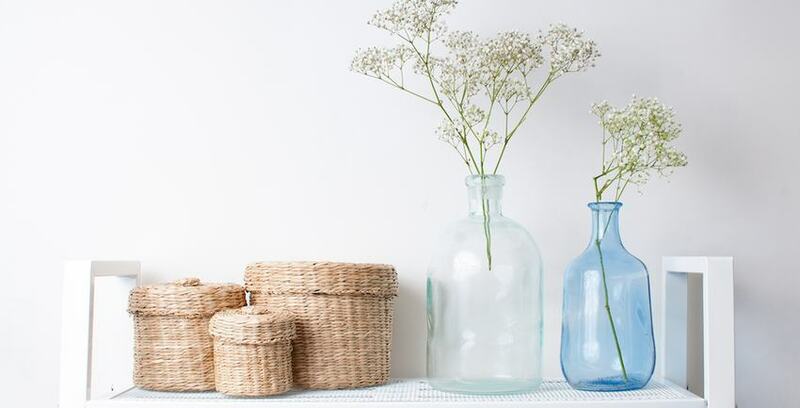 One great way to get your house in order is by using baskets to organize spaces. The first step in using baskets to organize is to select the correct kind of baskets and bins. You'll want a variety of sized baskets as well as different functioning baskets and bins. For example, you may want a slotted spinning bin for pantry corners and under the sink. We like this one HERE. The key is to separate and store items based on use and need to access. Place most frequently accessed items first and in an easy to grab area. Make sure you declutter and purge to leave the basket system as seamless as possible. A key is using baskets to organize is to categorize and label everything! If everything is labeled then everything will have a spot. And if everything has a designated spot, it will go back into that same spot every time. In short - categorizing and labeling arethe keys to keeping your home organization system intact long after you've originally tackled the project. We suggest using labels such a these that can be placed on any type of bin or basket found HERE. When organizing with baskets, take all the items out and organize outside the designated area of intended use and do your purging and categorizing beforehand. That way, when you place the items back in the designated bin, they are already sorted and ready to go!